As you might have notices, I am currently on a cauliflower kick! A little while ago I already made this cheesy queso cauliflower dip, and now I have another super delicious recipe with cauliflower for you: sweet & fluffy cauliflower pancakes! 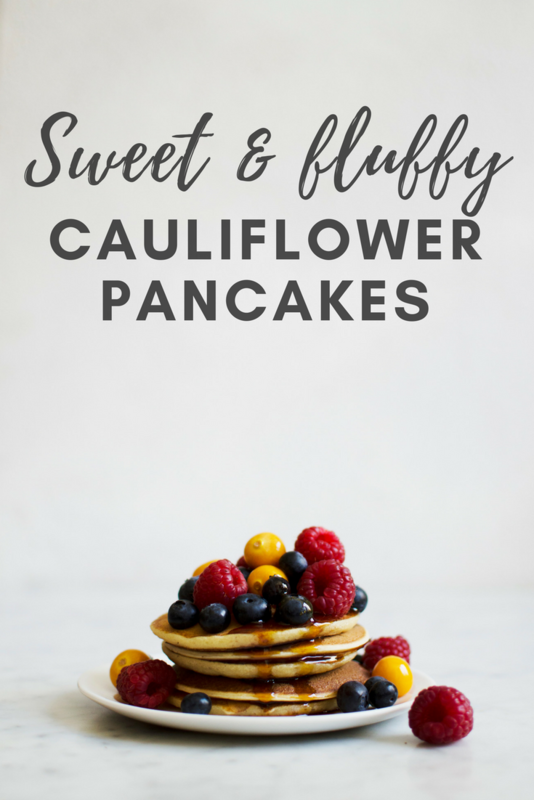 Even though they are made with a ‘savory’ vegetable like cauliflower, these pancakes are actually not meant to be sweet. The trick is to lightly steam the cauliflower, and to make sure it is completely smooth before adding it to the batter. I promise you won’t taste the cauliflower at all, it is totally undetectable. Pinky promise! The last time I made these, I made a huge batch because I was testing some different cauliflower ratio’s, so I saved a few of the winning batch in a container in the fridge. Then my boyfriend (not the biggest cauliflower fan) saw the pancakes in the fridge, and ate them without hesitation! In fact, he loved them so much he requested I make more of these pancakes the following morning haha. When I asked him if he had tasted anything different about them, he had no idea what I was talking about. 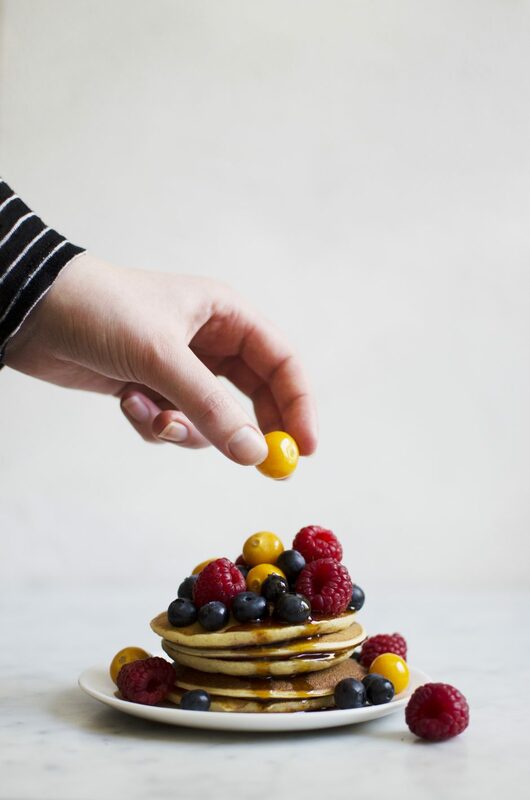 So, long story short: these pancakes are amazing and you should make them too!! Steam (or boil – but I prefer steaming) the cauliflower florets until tender, about 10 minutes. Let the cauliflower florets cool for a few minutes. In a blender or food processor, combine the steamed cauliflower florets, flour, milk, egg, sugar, vanilla powder and baking powder, and blend until you have a smooth batter. Heat a non-stick pan or griddle over medium to high heat and scoop 1/4 to 1/3 cup into the pan. 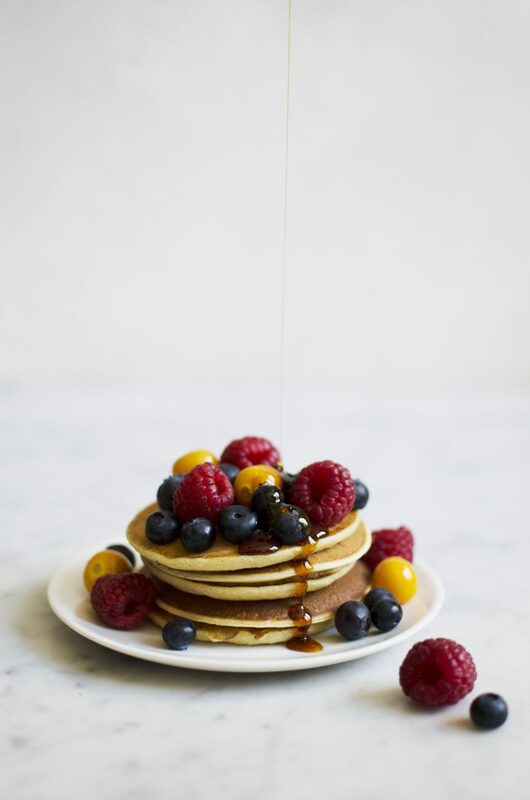 Flip the pancakes when you see bubbles forming on the top. 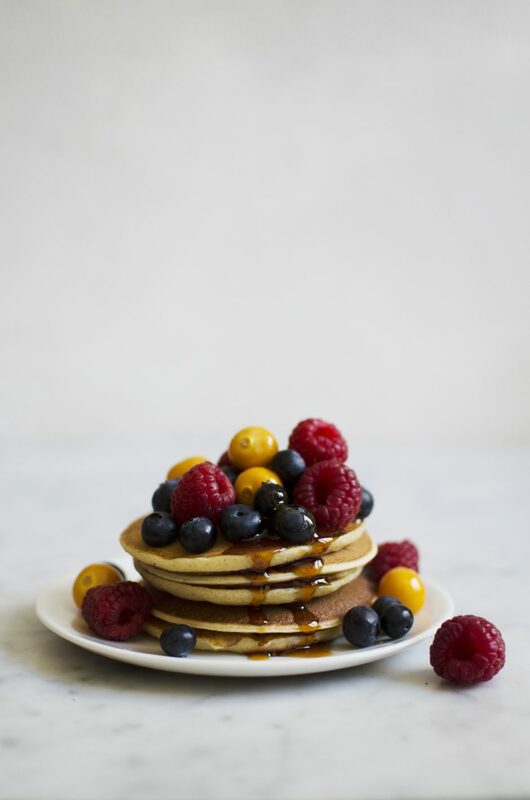 Eat while still warm, and serve with fresh fruit and maple syrup.